NAIDOC Week is well and truly alive in the Highlands, with Emerald hosting a week-long raft of celebrations. On Monday a ceremony was held outside the Central Highlands Regional Council building before a march took place, with locals of Aboriginal and Torres Strait Islander descent taking to the streets to walk to Morton Park where a community fun day was held for the participants. The rugby league all stars game was a hit, with former league star Preston Campbell showing up at the McIndoe Park fields to give the local boys a run for their money. 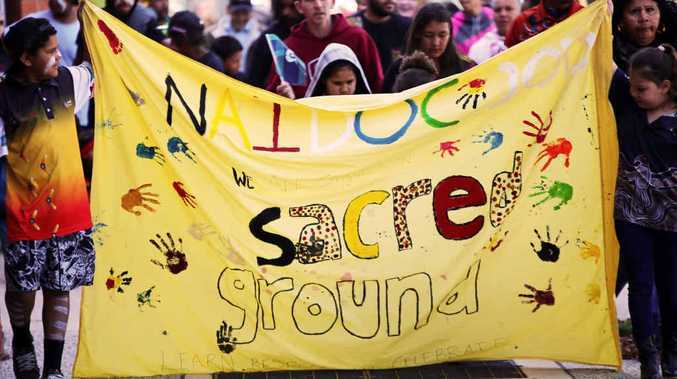 Central Highlands NAIDOC Week celebrations began on Monday and will wrap up on Friday. Preston Campbell attended events in Emerald, Duaringa and Blackwater.